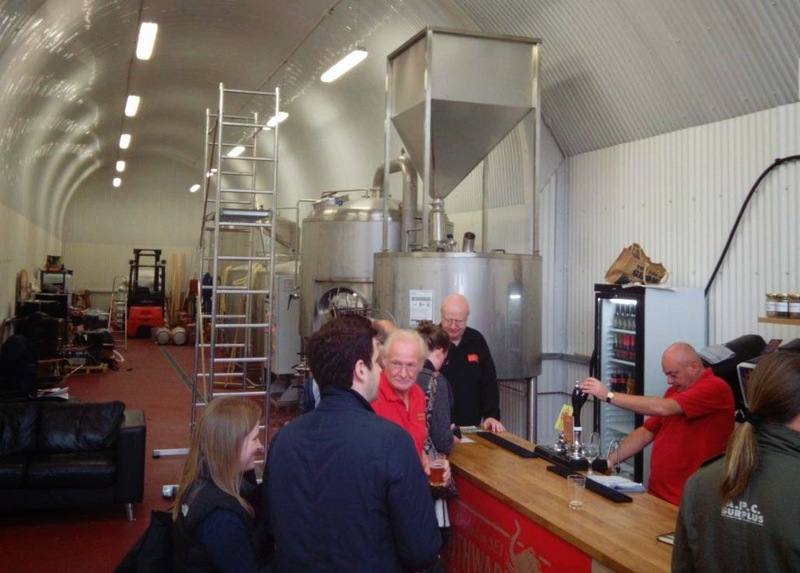 New breweries continue to appear in London, but one of the more interesting things about the latest start-up – it was due to begin brewing on its new 10-barrel kit this week – is that it is an unashamedly real ale-only brewery in the heart of Crafty Bermondsey. Yes, the famed Bermondsey Beer Mile, which formerly only produced cask-conditioned beer on rare occasions, now has a regular cask outlet in the shape of Southwark Brewing Co. Based in a railway arch at 57 Druid Street and well within the Borough of Southwark, the brewery is just a few arches up from Anspach & Hobday and Bullfinch Brewing, and is a new westernmost extension to the Beer Mile. However, while the brewery tap will be open on Fridays and Saturdays, and maybe also Thursdays in the run up to Yule, the main aim is to ride the localism trend and sell LocAles to pubs across the London SE and SW region. They plan to brew three times a week to start with, so that's a fair bit to sell – as one commentator on Ratebeer asked, have we reached “peak beer” now, with new entrants finding it incrementally harder to sell their wares to a limited pool of free-houses? After all, they may be the brewery most local to SE1, but outside that they're as local as Sambrooks, Truman and even Fullers. Still, co-founder and brewer Andy Nichol has a finance background – he's formerly a lecturer, but learnt to brew under the tutelage of business partner Peter Jackson, who is an ex-Marstons exec – so he has done his research. Certainly, there's a lot of money gone into the set-up, mostly sourced from friends and family, says Andy, but also with help from government schemes to support investment in small businesses, and the two are being advised by Sean Franklin, the founder of Roosters Brewery who now works as a consultant. The brewery already has several recipes to its credit – the core brews will be its fruity, hoppy and golden London Pale Ale (LPA) at 4%, and a traditional 4.4% best bitter in the shape of Bermondey Best, but there's also other such as Peter's Stout, a bottled 8.9% Russian Imperial Stout brewed in honour of Peter the Great who visited London in 1698. These were all brewed on its small test kit, however – basically a large homebrew set-up – and the next task for its brewers will be to scale those recipes up to a full-length brew.
" Peter's Stout, a bottled 8.9% Russian Imperial Stout brewed in honour of Peter the Great who visited London in 1698. " Hmmm - I hope they're not going to try to claim that P the G would have drunk anything like an Imperial Russian Stout while he was in London, because it's doubtful anything like porter existed then, let alone stout porter. Heh! good catch - I'll check the bottle label when I get back (I'm in Germany this week) but I'm reasonably sure it was only "in honour of".